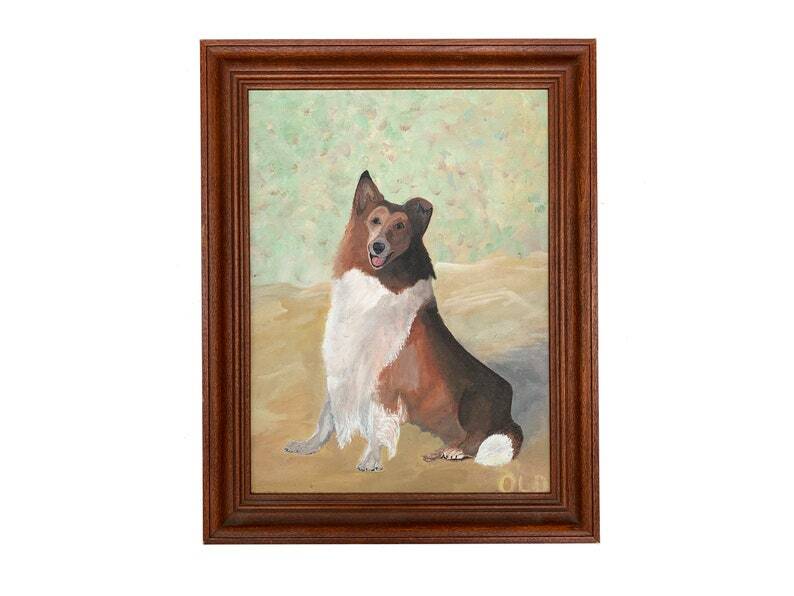 Vintage portrait of a collie. Painted on canvas board, complete with a dark wood frame. Signed OLD. Good condition for its age. Dimensions: 18.5" x 14.5" x 1.5"